The aquatics industry has become increasingly popular and since polyethene bags came into existence the hobby has grown from strength to strength. As the hobby grows so does our knowledge of fishkeeping, and with it the importance to monitor water quality. So what are the best types of fish to keep? Bearing in mind species of fish can be as different to each other as a mouse is to an elephant. The term Coldwater fish refers to fish species that thrive in colder temperatures than the average Tropical Fish. 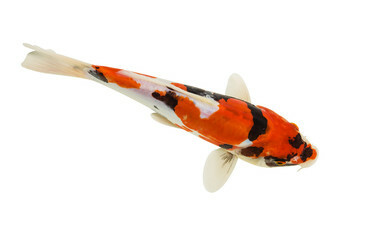 Perfect examples of fish families that thrive in these environments are the Koi and the Goldfish. These families of fish generally have a longer life span, grow much slower and are considered easier to keep. Tropical fish are more numerous in varying types as breeds of this fish inhabit environments all over the world, and have adapted to that range from both freshwater, saltwater and coral fish. Freshwater fish are those that do not live in the ocean but their natural habitats can be very diverse. One example would be the South American Cichlids that originate from The Amazon are soft acidic loving fish as are many Tetras and Catfishes. Whereas Cichlids originally from Central Africa, predominantly from the African Great Lakes such as Lake Malawi, Lake Victoria and Lake Tanganyika, come from hard and more alkaline water. The coral reefs have a multitude of diverse marine life, more and more tank bred marine fish are now appearing in our aquatic stores but still the majority of marine fish and invertebrates are taken from the wild. Marine life is generally more sensitive to the water parameters because marine aquariums are maintained at a high pH. Examples of coral reef tropical fish are Damselfish and the Yellow Tang. The corals and anemones and other photosynthesizing creatures will also depend on correct and adequate lighting. The rarer of the three, the brackish aquarium fish are those that inhabit aquariums where the water is 'brackish' or 'semi-salty'. Essentially the fish that you would typically see within a brackish aquarium are those that naturally inhabit waterways, such as estuaries and mangroves, where freshwater would meet saltwater. A good example would be where The Amazon river or Rio de la Plata meets the Atlantic sea, or Lake Monroe that meets St Johns River in Florida, USA. The range of salinity, or SG (special gravity), within a brackish aquarium can vary from a scale to near freshwater to near saltwater. Although ideal fish for these types of aquariums are few and far between it is wise to remember that the fish evolved for these environments to withstand frequent salinity and water parameter changes making them tough fish. More information regarding salinity of an aquarium can be found here. Prime examples of fish for brackish aquariums are the Wrestling halfbeak, the Dragon Goby/Violet Goby and the for the more adventurous aquarist; the Atlantic Stingray. What fish are ideal for a novice aquarist? We would recommend starting with a freshwater community tank with species such as Livebearers, most Barbs, Tetras and Rainbowfish. These fish, being coined as 'hardy fish' are adaptable to changes in pH levels, ammonia and temperature. This is itself provides a stress-free learning curve for any novice aquarist and provides the basis for further learning down the road. However there are no rules to which fish to keep. Whether it is a community tank, an aquascape tabletop aquarium or a large marine aquarium please remember to conduct a lot of research before deciding on your aquarium.